The Let’s Go Shopping! App was developed by parents for parents. 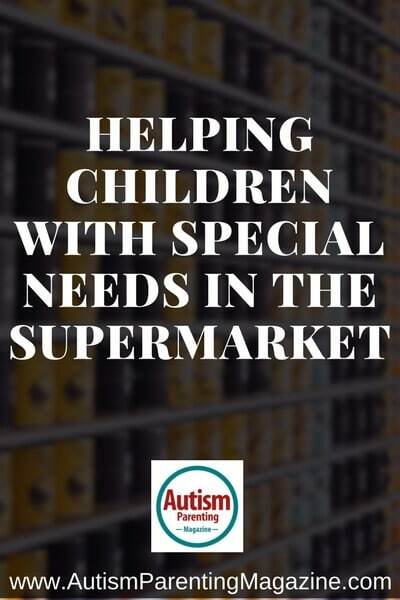 It is designed to encourage children on the spectrum to explore and integrate themselves into a supermarket environment at their own pace, whilst making sense of their own thoughts and feelings. It gradually introduces children to the sounds, colors, and experiences of a supermarket by giving them complete control of their environment. Let’s Go Shopping! is an application where children are able to see and hear the sounds over and over before entering an environment, so they are prepared to cope with the incoming stimuli of sounds and noise. It is a tool that children can take with them to match items, to further support a calm shopping experience. Children can gradually become comfortable with supermarket noise by increasing or decreasing the volume, and listening to the individual sounds via a sounds page in order to make sense of what they are hearing in the real world. The names of the items are displayed under each picture to introduce children to spelling through image recognition. Children are rewarded with a star for successful completion of each level. We believe that more information and sensory exposure you offer your child will equip them with the skills and knowledge to encourage them to be less anxious and stressed. With practice, change can happen. We hope that this application will be a great support to all children by encouraging them to feel more comfortable when they encounter these auditory and visual sensations in the real world, making shopping a pleasurable experience for the whole family.